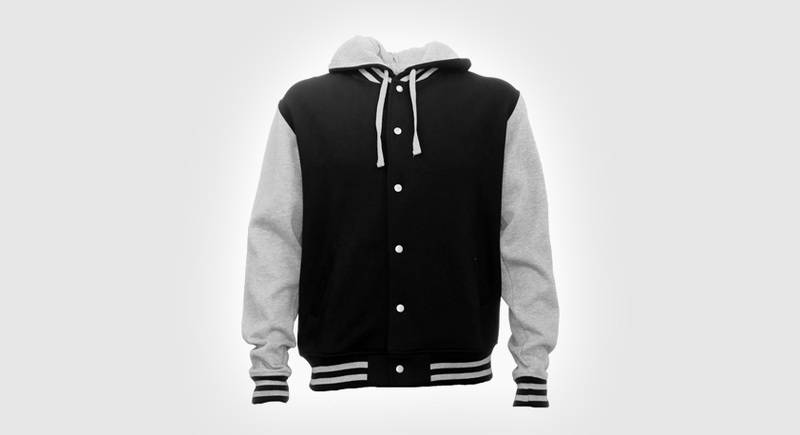 A varsity jacket is an awesome option for those who want a fully customisable stylish garment. specialized branding design to the garments’ fabric and hood colours so you get exactly what you want. Add branding to give your garment a real impact. Our most popular branding option at the moment is using felt appliqué embroidery to give that prestigious ‘American Varsity’ look. We can also add funny nicknames pretty much anywhere on your garment, or create a vintage inspired badge that can be stitched on. Or, why not get crafty and screen-print your whole year groups name into the hood of the garment, the options are endless. Just to make sure you are getting exactly what you want, we have an talented in-house fashion designer and graphic team to make sure you end up with a stylish, well finished, quality garment that is exclusively designed just for you. Once you have come up with a rough idea of what you want, we will convert your ideas into digitised garment artwork for approval and will work tirelessly tweaking the artwork until you are completely happy with the final design, all free of charge.